Exceptional family friendly villa near Sarlat - heated pool, air con and more! Property 2: Exceptional family friendly villa near Sarlat - heated pool, air con and more! House 6 people, private pool. Property 12: House 6 people, private pool. House with stunning views, unique, contemporary and full of charm. Property 33: House with stunning views, unique, contemporary and full of charm. Property 37: Farmhouse covered walk-in slate Périgord Noir. Les Gites de Lascaux - Hibiscus - sleeps 2/3 people. Property 44: Les Gites de Lascaux - Hibiscus - sleeps 2/3 people. An excellent home with a sense of history, perfect to give every visitor beautifully private spaces (with 5 beds and baths), yet with room to come together for evenings and fun. We had 15 people join us at different times over our three weeks, and there was plenty of room to cook together, barbecue, dine outside or in the kitchen or in the elegant dining room or by the pool. We had gorgeous fall sun by the heated pool, and the house is well equipped, with minor problems quickly taken care of. Some fabulous design -- we just wish we knew more of the house's history. 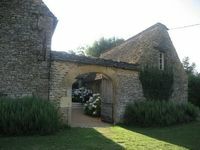 Excellent location -- with a 5-minute (by car) run to the village for croissants in the morning, pretty much everything necessary in the village, close to major attractions (15 or 20 minutes to Lascaux -- 20 to Sarlat). We were thrilled and thank Pierre and Marie. The very best stay in france! All you could hope for...A bit of paradise....Neal&amp;Rachael are lovely.